The Ross Round is a 26 mile circular walk around Ross on Wye in Herefordshire. The hiking trail description for the Ross Round walk is on the LDWA website. You might also want to buy Striding Around Ross, a comprehensive, illustrated guide of The Ross Round including the new loop added in March 2013. The book is only £5.99, comes with free postage and signed by the author Guy Vowles. See end of this page to buy now. I got the original idea for this walk from several other circular town walks which I had done, such as The Cheltenham Circular walk and The Five Valleys walk around Stroud. I had also been organizing a charity walk for Salters Hill who have homesteads outside Ross for young adults with learning difficulties (a proportion of the sales revenue from The Ross Round walking guide actually goes to the Salters Hill charity). 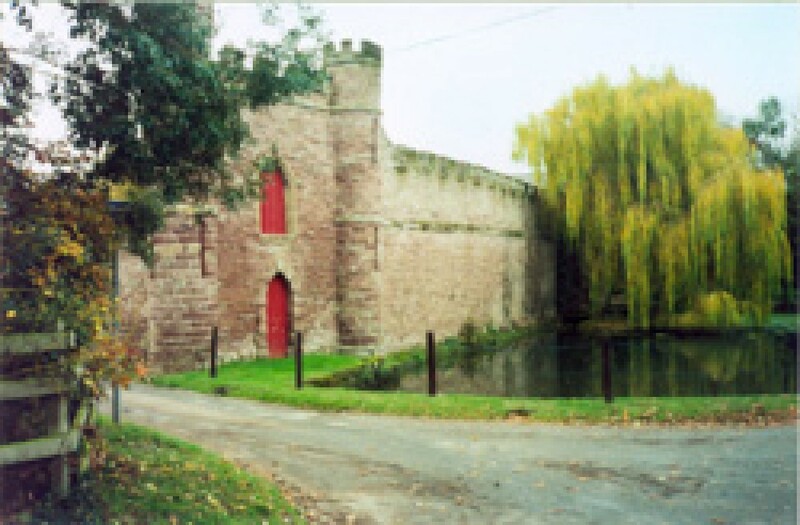 The walk starts and finishes in Ross on Wye and can easily be split up into two or three shorter distances with public transport and pubs at convenient points. There is quite a diversity of character on the walk with riverside walking, some agricultural stretches, but also some hilly sections as well as woodland. This was another walk I organized before joining the LDWA (Long Distance Walkers Association) and since doing so I have become aware that most of the LDWA Challenge walks, which are so well supported, are over 20 miles or a marathon distance of 26miles. So in 2013, we added an extra loop over May HIll to increase the overall distance. So walkers can choose to do the original 18 mile or the full 26 mile marathon distance. This can still be shortened into several day stages and there is still a bus link as well as another pub on the route. Another option is the new Loughpool loop of 12 miles which takes in the atmospheric Loughpool Inn and Broome Cider Farm. The new improved route is illustrated in my new book Striding Around Ross which you can buy here for only £5.99. Click on the Buy Now button below. Ross Rotary club are holding a sponsored walk to raise funds for the local hospital. We are planning to use the Ross Round as the route. Do have any objections to your name being mentioned in the brochure and are books still available? If so, might it be possible to have some available for participants to purchase if they so wish? I was delighted to hear of your interest in The Ross Round, especially since I have been trying to find another body interested in a Fund Raising/ Challenge walk. Unfortunately I am just now sold out of The RR booklets and am looking to republish in a slightly different format NEXT year. The reason for this is that I have plans to lengthen the RR out to a marathon distance with an extra loop over May Hill. I am a member of the LDWA (Long distance Walkers Association) who organize a great number of Challenge walks every year which tend to be a minimum 20 mile distance but the full marathon distance is a big favourite. The problem I have is that there are no LDWA groups close to Ross who can take it on so I have been looking for a seperate local group to consider it. It could still be publisized in the LDWA full colour 150 page magazine Strider which is published three times a year. As I write this it occurs to me that that you could possibly start off this year (I presume that is your intention) with the existing 18 mile route for which I have a shorthand A4 description that goes on two pages and then maybe go for the full marathon next year? I can easily come across to Ross and meet up with your committee. I will send my contact details by email. Best wishes and I hope that we can put something together. Guy Vowles.